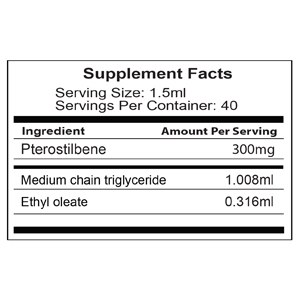 A typical dose would be 1.5 milliliters yielding approximately 300 milligrams per dose. 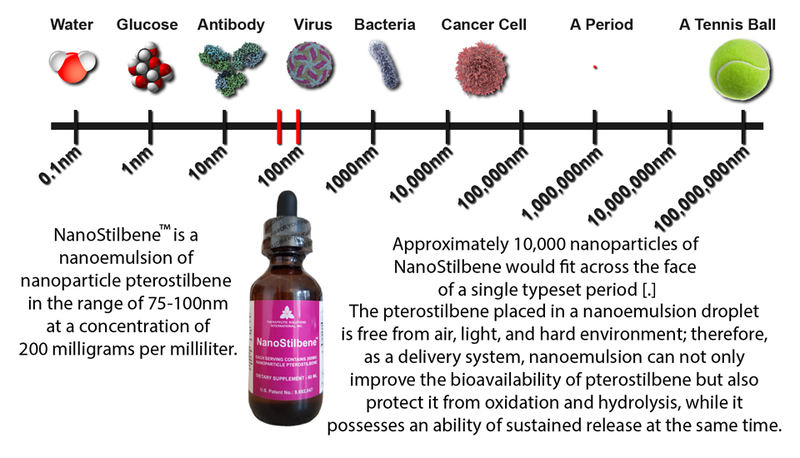 In addition to the benefits of the nanoparticle pterostilbene, we chose to use medium chain triglycerides (MCT), derived from coconut oil, as one of our oil mediums in preparing the nanoemulsion. MCTs are not stored as fat, but rather convert quickly into Adenosine triphosphate (ATP), which provides energy for the body and brain at the cellular level. 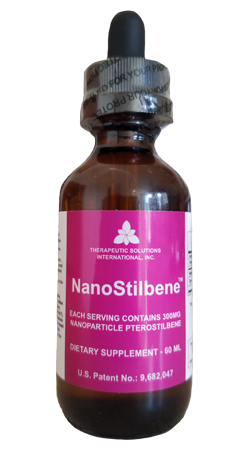 NanoStilbene™ is now available in 60ml bottles at a concentration of 200mg per ml with a recommended daily dose of 300mg or 1.5ml. Nanoparticle therapeutics is an emerging treatment modality for cancer and other inflammatory disorders. The National Cancer Institute has recognized nanotechnology as an emerging field with the potential to revolutionize modern medicine for the detection, treatment, and prevention of cancer.